Berlin : Germany is still clueless about the motive behind deadly van crash into people drinking outside a popular bar in Muenster. The attack had killed at least 2 people and injured dozens. The security officials have rejected indications of Islamic State attack. The driver had shot herself after the attack. As per witnesses, the people were seen running all over moments after the attack. While cops swiftly cordoned-off the area for the investigations. Six out of 20 injured people were in critical stage, according to police spokesman Andreas Bode. 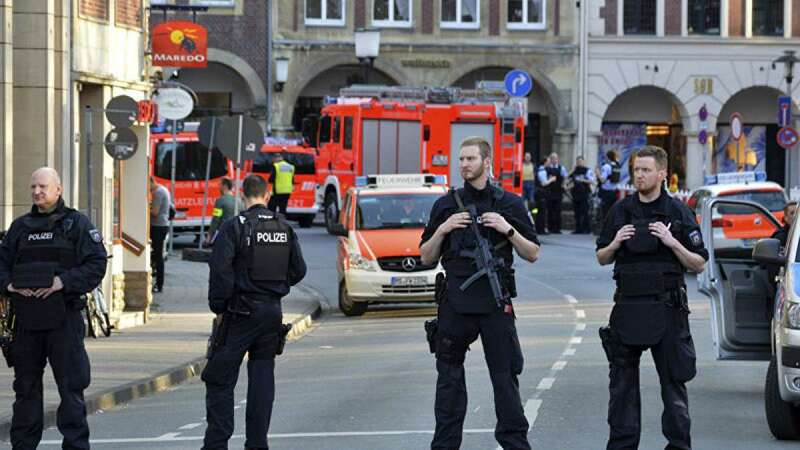 Herbert Reul, the interior minister of North Rhine-Westphalia state, where Muenster is located, said the driver of the gray van was a German citizen. He maintained that final word will come only after the investigations are over in the matter. “We have to wait, and we are investigating in all directions,” Reul said, adding that it was clearly not an accident.